Just wondering if anyone knows roughly how old the site is, when it was first online, bit of history etc? Also, roughly how many members? I'm guessing (from the members list) approx 3042? It started on 30th June 2002. "They tried to make me go to Behar...."
it was the old 'thirty-five tin-cans on the ends of lengths of string' chat-room. Crap reception, though: my bit of string kept getting soggy as it crossed the Southern Uplands. "We have 2,735 registered members"
aye aw that dead coat society pish and the like. was it a partick fan that killed it? Site was orginally set up, I think by George Ewing who registered stmirren.com. He ran the site for a few years and it had a tremendously successful guestbook. 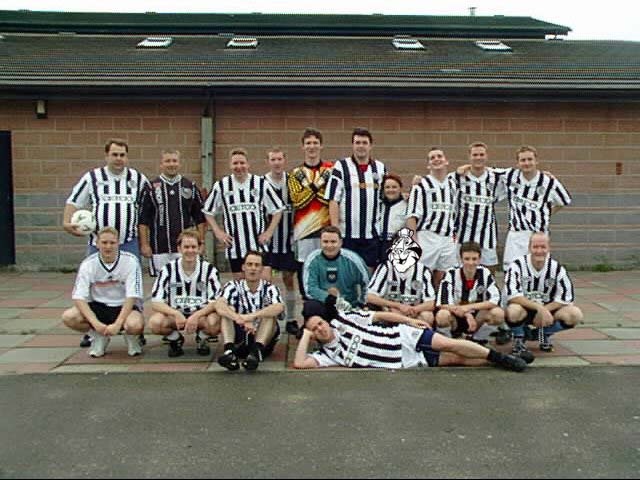 Some time in 1999 created a website called "Sizzling Saints" at the domain name www.stmirren.net and I ran that for a couple of seasons around the time of winning the first division in 2000. There were loads of other saints websites around then too - including the excellent Heaven Knows I'm Miserable Now and a few others. Sizzling Saints kind of came to the end of its day and I passed over the reigns to Kenny and Karen and a short while later the site became the official website of the club. 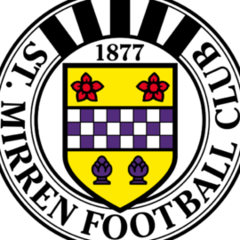 They now use the saintmirren.net domain name primarily but the old stmirren.net name still points there too. George hung up his boots at stmirren.com and a few people took over the site, including Tom I think, but alas it was wrecked by a security problem with the guestbook which allowed some script kiddy someplace to continually spam the book. Thomas McIlroy created a forum around that time and it looked like being a popular alternative to the guestbook but was hosted on a freebie webspace with ads. I registered the domain name for B&W Army and created an unofficial forum without adverts around June 2002 and the site kind of grew from there. A few inaccuracies in there I'm sure - but that is kind of how I remember it all coming to be ! "Sizzling Saints" was pretty good. I remember being a bit disappointed when it went official. Suspicions fell on Harold Wraggamuffin, a Partick fan, but I don't think anyone actually had any proof who the culprit was. Wow I never visited that site. The DCS basturt STILL needs his baws tanning. Memories....this was taken down at Ferguslie....the it was off to Wee Barrell or Carnegies for a pre-match swally. I think I might have taken that photo. I can spot Harpo, MarcoVanHaddock, Neilly, Anto, Tiger, Kenikeli, Jimbo, Del, Ross, Andy and Everton Saint (now Mrs Yflab!) can be seen standing next to Jimbo. Cannae believe where the time has gone......this must have been around 1999 when Everton and I used to leave the house on a Saturday morning at 7am and drive up from the Midlands to see the buds. Since that picture has been taken I've lived in 2 countries, worked for 4 different companies, got married, had 2 kids, lived in 4 houses, moving next week into number 5, seen Saints win 3 major Scottish honours, had a go in a coma after listening to too much GunsN'Roses and I still end up reading this sh*te every night! I think I might have taken that photo. I can spot Harpo, MarcoVanHaddock, Neilly, Anto, Tiger, Kenikeli, Jimbo, Del, Ross(think u meant maboza, ross isnae there), Andy and Everton Saint (now Mrs Yflab!) can be seen standing next to Jimbo. U missed BobbyF, MarkL and maboza. wot a small community we are really! I think that Thomas created his site, after he was envious of my site - and I helped on it for a bit, but I had to stop making y website as I never really had the time.